Tennis court. Ask the key. The Maison Jacob, located in the centre of the village of Castelnau-Montratier in the Quercy Blanc, dates back to the 13th C., and has had several different functions during its long history. Nowadays, it houses the mediatheque, the music school and an exhibition space which, for the past 27 years, has hosted the work of artists both local and of international renown. Every month, the association "Les Amis de la Maison Jacob" organises a different exhibition - painting, sculpture, photography... - all year round. Annual subscription for access to the grounds, tennis courts throughout the year for children, teenagers and adults. Access for visitors. 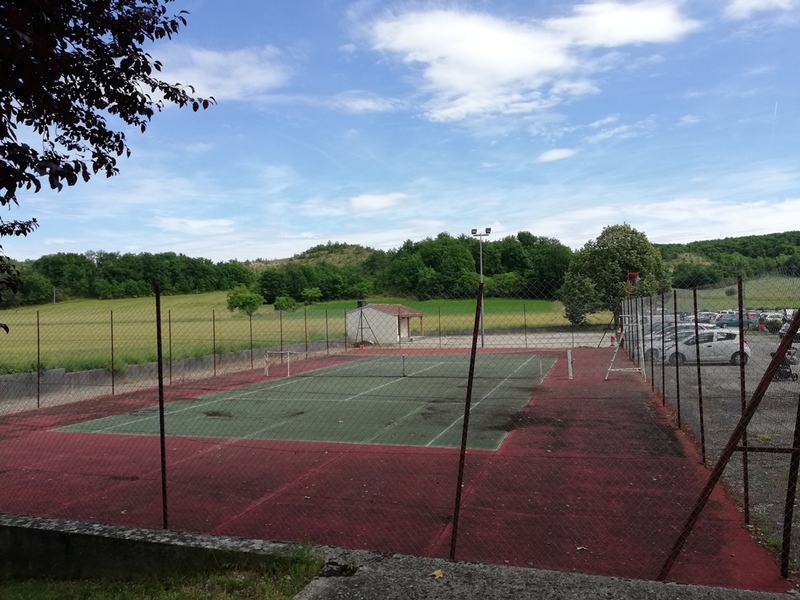 Tennis courts upon reservation, key available at tobacconist. 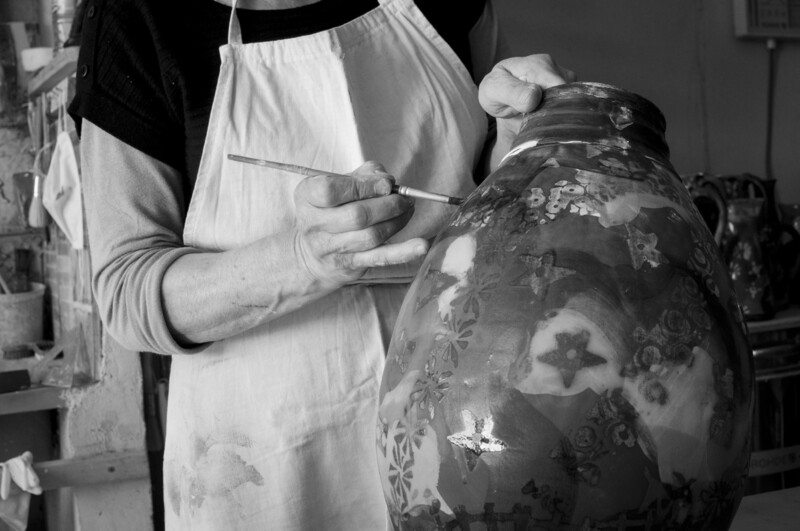 In her gallery and exhibition space, Florence has on show for you her pottery and ceramic creations in pastel colours marrying matt and shiny effects - here, you can find "Le Bel Utile" (useful beauty) for your table. Need air and adventure? Make a stopover in the Gorges de l'Aveyron. Welcome to the site of Nature Escapade, our canoe or kayak trips are the opportunity to spend a pleasant day with family or friends. 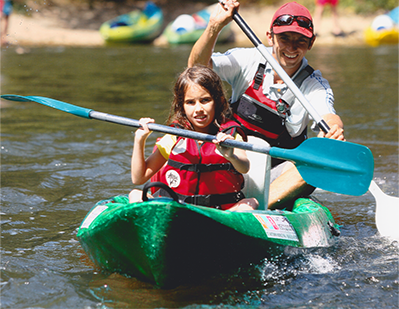 On the program: canoeing, swimming, picnic at the water's edge, but also outdoor sports: mountain biking, climbing, speleology or via ferrata to discover the gorges of Aveyron in three dimensions. 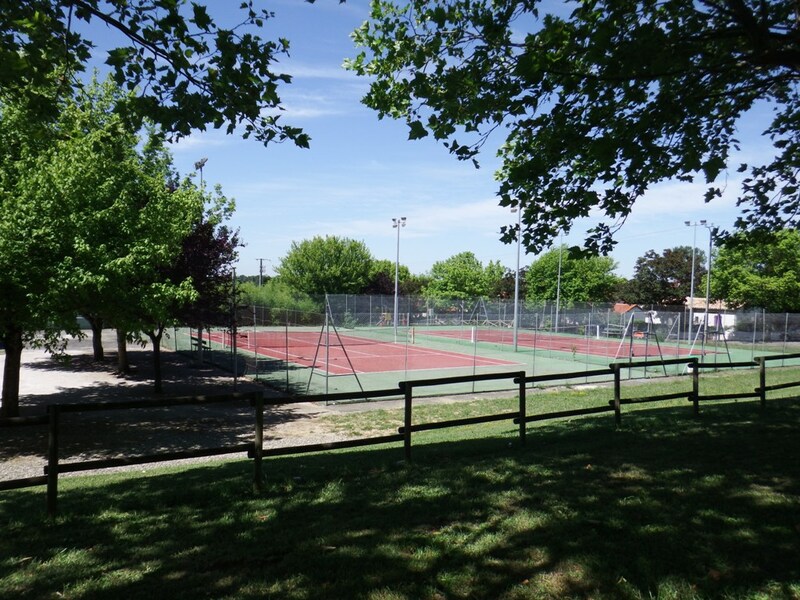 On our departure base located at the foot of the village, you will find a team attentive to your service and comfortable facilities: sanitary facilities, hot showers, locker rooms, terrace by the river, fresh drinks, picnic area, ample parking. Manimopark is an educational farm with decorative animals. 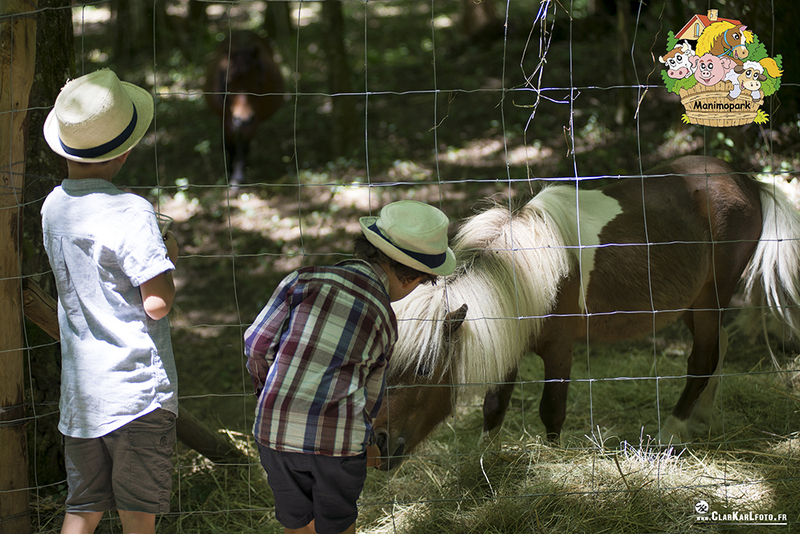 On 3 hectares of woodland, the visit allows discovery of atypical domestic animals and an experimental garden where young and less young can discover the biodiversity of the fauna and flora. Animals can be fed with fruit and vegetables from the garden. Play area (wooden games) for all ages. 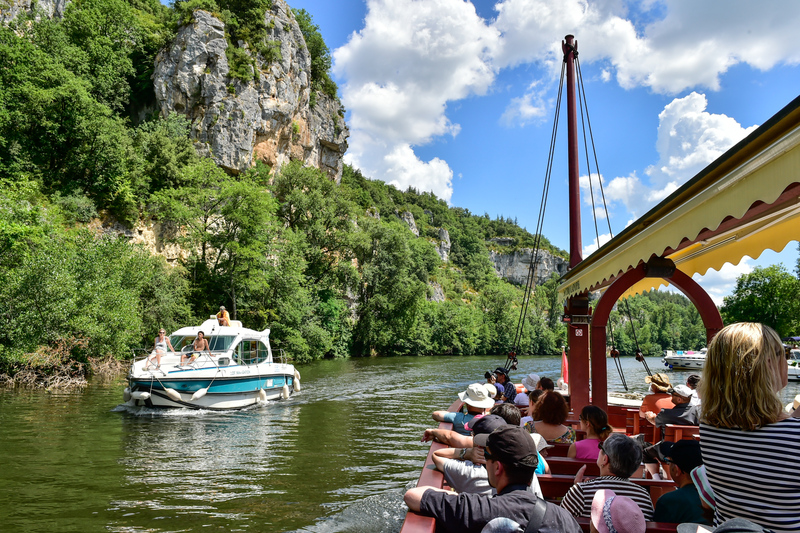 On authentic wooden gabares, set off to see a towpath hewn out of the base of a cliff, a manually-operated lock which the boatman will operate as you watch, and of course the clifftop village of Saint-Cirq-Lapopie, of which you get an unrivalled view from the river. Choose from the "Croisière des 7 Merveilles" (return trip with commentary, 1hr 20 mins), the "Croisière Rando" (one-way boat trip, 1hr 10 mins, return on foot by the towpath, 1hr 30 mins) and the "Croisière Pirate" (return trip, 55 mins with activities, treasure, costumes, etc. ).